I grew up with movies like: Planet of the Apes, Godzilla, Jaws, Star Wars and so on…. 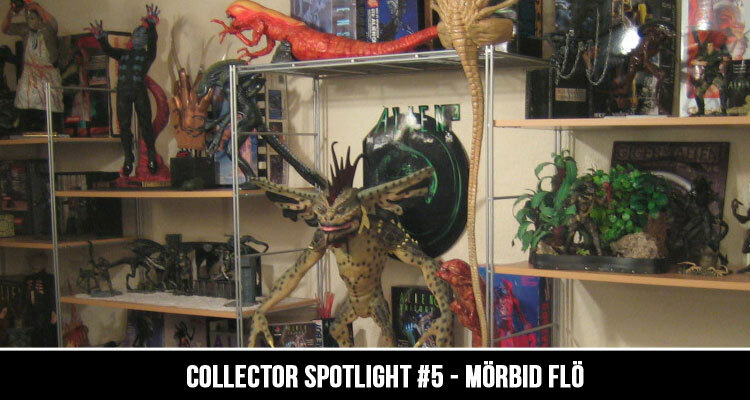 I always loved monsters and creatures since I was a child. 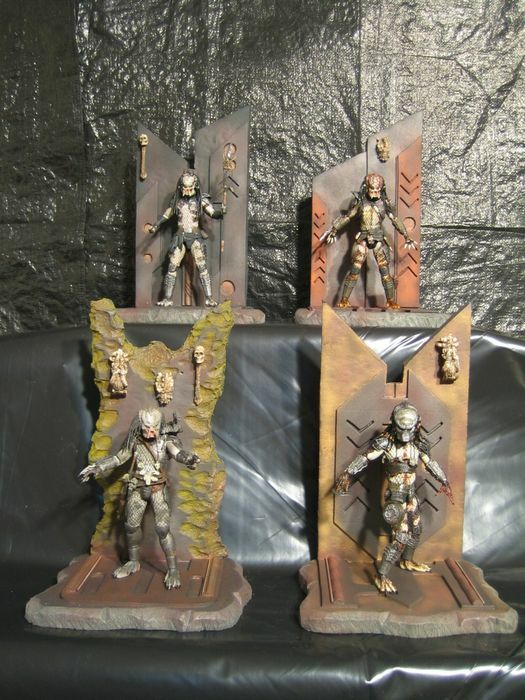 I also played with Kenner’s Alien and Predator toys back in time, I didnt know the movies at this point because of the ratings (I was too young). 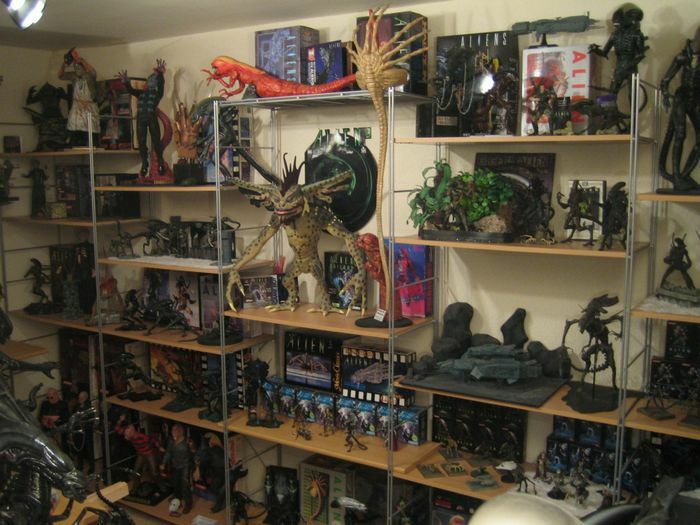 Then I saw Alien the movie with 13 years and that was my kick off to start collecting movie models… With 15 years I started to build up model kits and now I build my own dioramas and sometimes sculpt busts and lifesize figures…. 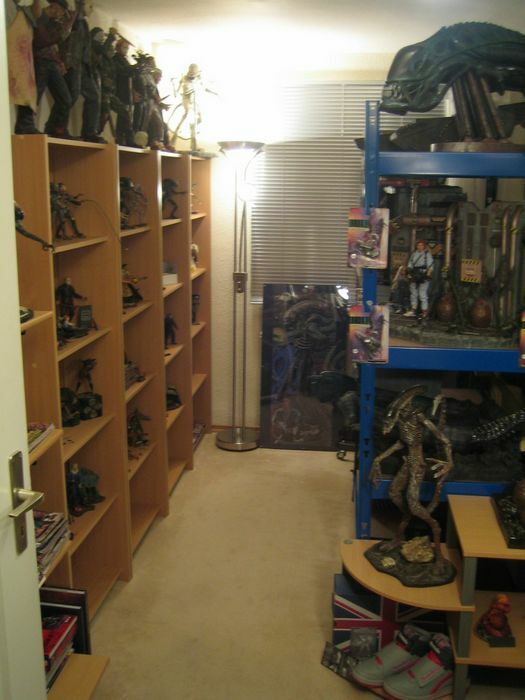 I have a very huge collection, the main part is dedicated to Alien and Predator merchandise, but I also collect horror stuff… I also have two lifesize Aliens and one lifesize Predator in my collection…. 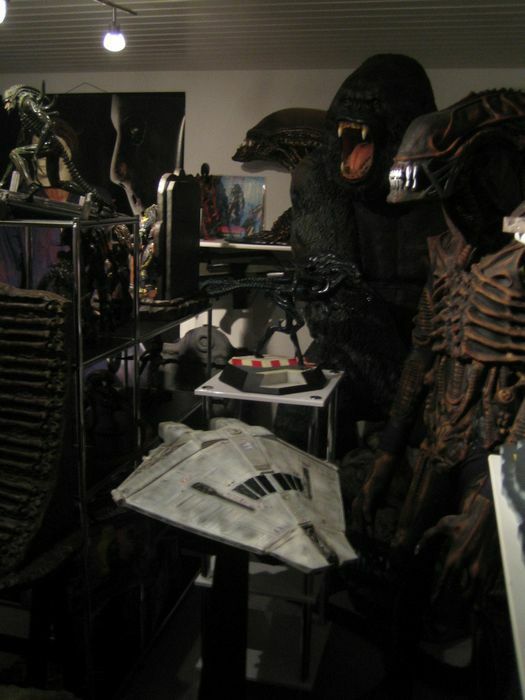 All new Alien and Predator releases from NECA!!! !